To say that I am angry, pissed, mad, upset, beside myself- that is pretty accurate at this point ! On Tuesday, I had an appointment with my Internist, Dr. Witt, and had him to run a complete HLA panel and several other blood tests to detect autoimmune issues. We are running the panel of tests that Dr. Braverman runs. It is just as an additional precaution. It was very alarming and hurtful to receive results from PGD that reveal that your fetus was genetically and pathologically normal. It leaves more questions than answers, considering I was on an autoimmune protocol with my cycle. My beta was also tested and it is EIGHT ! UGH UGH UGH !! I am approaching week 7 here and I am ready to get this show on the road ! I am experiencing bleeding and clots off and on. I wish my period would just come on already. My menses are normally only 2 days or so. Not this off and on crap. That is the one reason I always wanted a c-section, to avoid vaginal discharge, then I found out that even with a c-section, the uterus is STILL going to discharge and expel all that goook… SURROGATE ANYONE? lol. Okay… I am back. I am ready willing and able to do this…. hopefully only ONE time ! I want twins and DONE ! I am so disappointed that my beta is not zero. It is driving me nuts ! I have been all over Dr. Google looking for ways to lower the beta, and the only thing you can do is eat liver healthy foods and drink a ton of water. 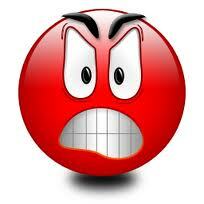 I am sooooo irritated ! I digress….Will keep you updated as I go. I’m really sorry this is still dragging on. IVF found exercise seemed to help lower betas too though I have no medical authority for that, just a bunch if personal experience sadly. UG! I understand first hand just how frustrating that is!!! It took me 12 (TWELVE!!!!) weeks for mine to hit zero! Blood work every week – it was awful! But time passes and it does go down to zero. I tried everything you could imagine but the body does what the body does. You’re so close. Praying that it makes a big jump quickly! Unfortunately mine went pretty slowly toward the end. Sending you hugs!!!! It’s going to be zero soon, I just know it. Hold on, a few more days, but I know from experience recently, is an eternity. I’ll be thinking of you!